Some activities can be hard on your shins. If you are in the gym or box and doing rope climbs, box jumps, dead lifts, cleans and snatches. Or perhaps trail running, mountain bike riding or doing martial arts. 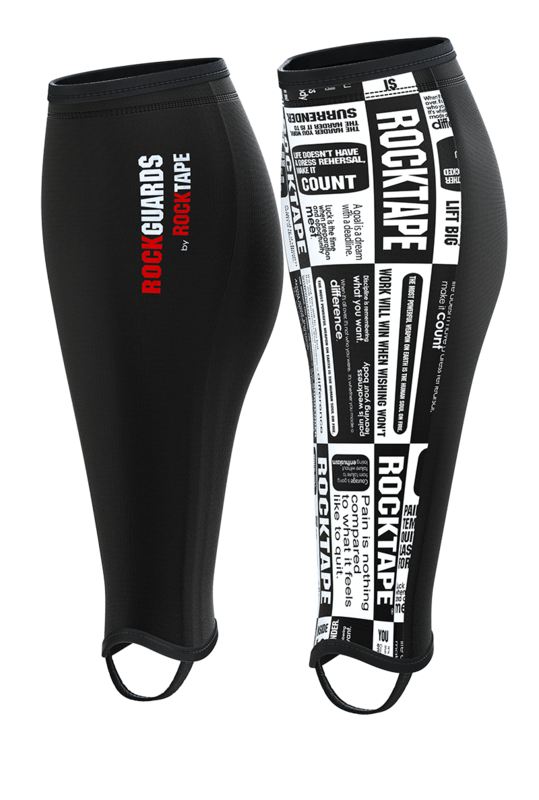 You can protect your shins with our specially designed RockGuards. Thicker – 5mm of neoprene at the front fused to a compressive lycra sleeve. Zipper entry – a zip at the back makes it easy to get them on and off. 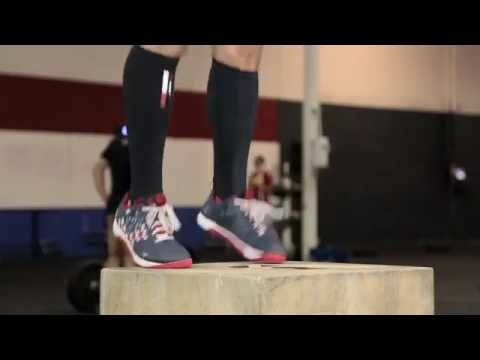 Foot stirrup – stays in place during box jumps, climbs and runs. A pair of RockGuards are included in each package. If your calves are < 38 cm in circumference at the widest point and your height is 155cm (5 foot) or less and therefore the length of your leg (tibial tuberosity to the ankle bone is generally 30cm or less) use the small size. If your calves are < 38 cm in circumference at the widest point use the medium size. If your calves are > 38 cm in circumference at the widest point use the large size. Note – they are meant to fit snugly, so if you don’t want a tight fit, be sure to order the larger size.